The Blue Hour takes you to a tiny town nestled into big mountains. Laura Pritchett's prose are crisp and elegant, her characters' voices are clear and true, and the pictures she paints of the Colorado mountains and meadows are beautiful. This book speaks to things people are too often afraid to talk about. It is quietly courageous. The residents of Blue Moon Mountain form a tight-knit community of those living off the land, stunned by the beauty and isolation all around them. So when, at the onset of winter, the town veterinarian commits a violent act, the repercussions of that tragedy are felt all across the mountainside, upending their lives and causing their paths to twist and collide in unexpected ways. The housecleaner rediscovering her sexual appetite, the farrier who must take in his traumatized niece, the grocer and her daughter, the therapist and the teacher, reaching out to the world in new and surprising ways, and the ragged couple trapped in a cycle of addiction and violence. They will all rise and converge upon the blue hour--the l'heure bleu, a time of desire, lust, honesty--and learn to navigate the often confusing paths of mourning and love. 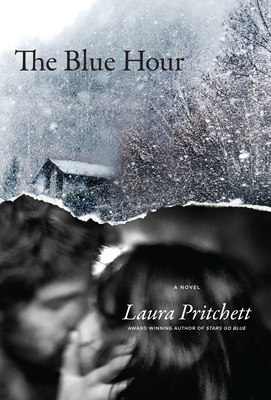 Writing with passion for rural lives and the natural world, Laura Pritchett, who has been called "one of the most accomplished writers of the American West," graces the land of desire in vivid prose, exploring the lengths these characters--some of whom we've met in Pritchett's previous work--will traverse to protect their own.